7th February 2016 heralds the start of Marriage Week, a great annual opportunity for couples to take time to pause and learn some new skills to take their marriage from ‘good to very good’. 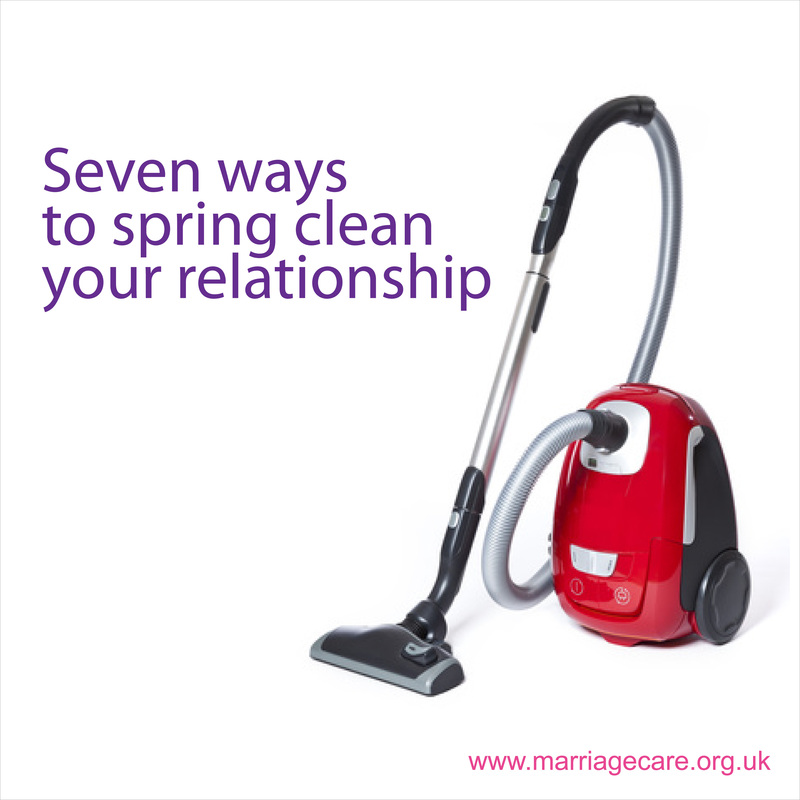 There is no doubt that by giving your relationship an annual ‘spring clean’ and a regular dose of TLC you can go a long way towards protecting your relationship and keeping it healthy and strong. So, this week to celebrate marriages everywhere Marriage Care will be arming you with the dusters and polish to dust down your relationship and add some extra sparkle with its ‘Seven how to tips’.